Autoship Cloud Products can be selectively enabled (and disabled) to process on Scheduled Orders using Autoship Cloud Product Settings. For sites that manage inventory in WooCommerce, Autoship Cloud Products will also synchronize the stock status of the WooCommerce product to the Autoship Cloud Product. 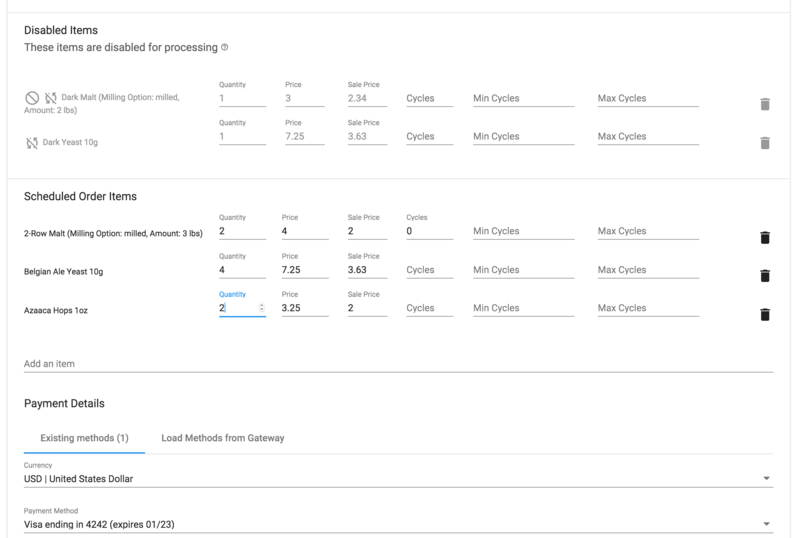 Both the Autoship Cloud Product Setting for "Process Scheduled Order" and "Stock Status" are used to determine if a product is enabled or disabled to process on Scheduled Orders. Note: Stock Status is not a required field, so N/A is the same as "In Stock"
For Administrators, disabled products are viewed as a separate group of items when editing Scheduled Orders. The following icons help to identify why each product on a scheduled order is listed as a "Disabled Item". Hovering over an icon will display a tooltip that describes the condition of the product. This icon is displayed when a product is "Out of Stock".